When it comes to downloading music and movies using torrents, the first name that comes to mind is Kickass torrents. Kickass Torrents is basically a website which allows you to search and downloading your favorite music and movies across the world so that they can be installed through a torrent downloader on your device. This site is one of the best websites for this purpose and has the largest collection of files in the world. From old classic movies to new and upcoming ones and from rock, pop and jazz music to music albums and tracks, you can find almost anything on this platform. Kickass Torrents is an easy to use website or platform which has a clean interface and a simple process to download the torrent file. As soon as you enter the site, you are welcomed by a search box along with all the new and popular music list, movies list, games list and TV show list. You can either make a selection from these options or simply type in the one you wish to download in the search box. There are many ads and links on the site, but it is advisable to ignore them and not click on them to avoid any virus infection. The best thing about this website is the fact that it always has enough reviews and comments next to all files so that before downloading, you can know if the quality of the file is good. User comments are usually authentic and you can totally rely on them. Also, check for the seeds and leaches to ensure that you are not downloading a torrent which does not download quickly or does not download at all. If you are someone who is interested in making use of this amazing platform called Kickass torrents, then you will first need to have a torrent client as well on your system. A torrent client or software is a platform which actually performs the job of downloading the media file on your PC/Mac, phone or tablet. Without it, you cannot complete the process. The following are some steps through which you can download any kind of file using this website. Step 1 Download and install a torrent client. So the first thing that you need to do before going to Kickass Torrents to download a movie, music, game or TV show is to download a torrent client on your system. 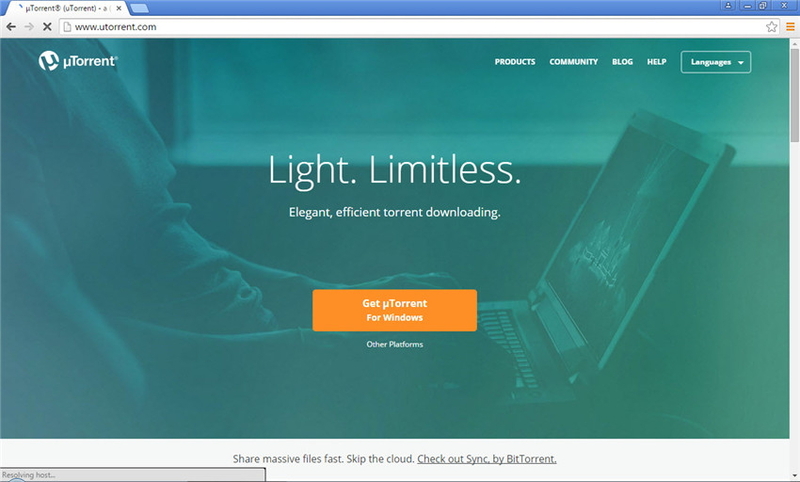 Some of the popular torrent clients that most people use and Kickass supports include Bittorrent, uTorrent and others. So to download this client, you need to type in its name in the search box of your browser, preferably Google. Then, you must enter the official website of the platform and find the download link. Make sure the download link that you find is the one which is compatible with the operating system of the device. Also, you must always go for the latest or updated version in order to enjoy all the possible features. 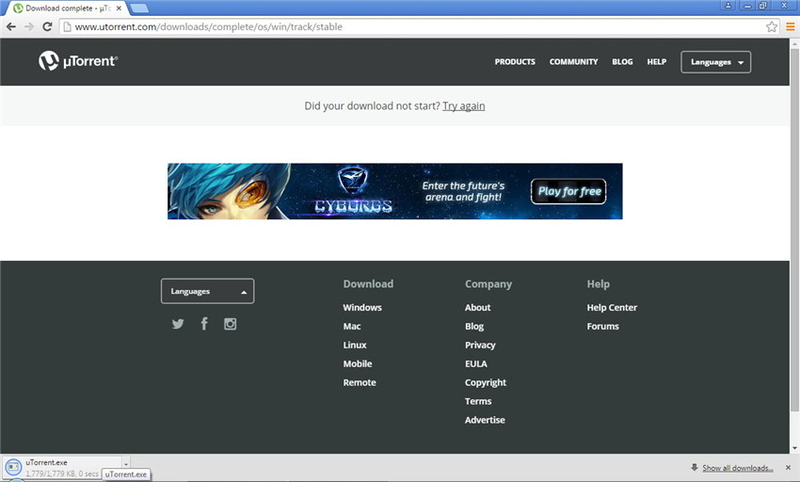 Click on download and the client will begin to install. When the process is complete, click on Save or Open. Step 2 Download music or movies from Kickass torrents. Now that you have the torrent client in place on your system, the next step for you is to download a torrent file to begin the download in the torrent software. This is where the role of Kickass Torrent begins. So you first need to type in Kickasstorrents on your browser or web page search box and then enter the official website. Once you enter the website, you will be able to see a big search box on the home page. Here, you can enter the correct name of the music track, music album, artist or movie that you wish to download and wait for the options to show up. From the given options, you will need to select the best one on the basis of seeds, leaches and user comments. Also check for the size of the file. Click on the link of the best option and then click on download torrent. This will begin the download process of the torrent file and will take hardly a few seconds. 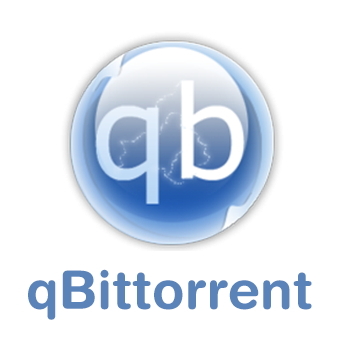 Click on the downloaded file link and the downloading process of your movie, music, game or TV show will begin in the torrent client which you downloaded earlier. The total time of download will depend upon your net connection speed and also on the size of the file that you are trying to download. Once the downloading is 100% complete, you can open the file in the download folder of your device. If you visit Kickass torrent website, it will sometimes ask for the security check to access. But after you have input the request answer, you're still not allowed to enter it, it's not user-friently like before. If so, you need to find an Kickass torrents alternative, here we recommend iTube HD Video Downloader which is a desktop video downloader, recorder, converter and player all-in-one solution. 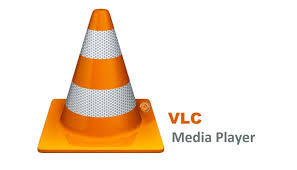 It can download videos from 10,000 + online sites, like YouTube, Dailymotion and many more.